Premium Pin Company 999 Bling Crocodile Hair Sectioning Clips - Large 4pc .. Premium Pin Company 999 Bling Crocodile Hair Sectioning Clips - Small 4pc .. 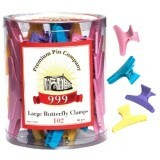 Premium Pin Company 999 Butterfly Clamps - Bright Coloured Kee.. 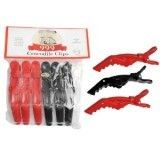 Premium Pin Company 999 Crocodile Clips - Black & Red 6pc 999 Crocodi.. 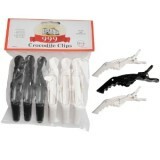 Premium Pin Company 999 Crocodile Clips - Black & White 6pc 999 Croco.. 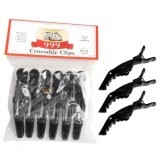 Premium Pin Company 999 Crocodile Clips - Black 6pc 999 Crocodile Clips a.. 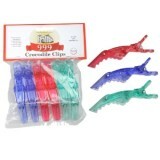 Premium Pin Company 999 Crocodile Clips - Coloured 6pc 999 Crocodile Clip.. 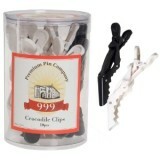 Premium Pin Company 999 Crocodile Clips 10pc - Large An all-purpose expanding clip.. 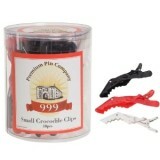 Premium Pin Company 999 Crocodile Clips 18pc - Small An all-purpose expanding clip.. 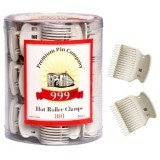 Premium Pin Company 999 Double Curl Clips - 401 Perfect for pin curl.. 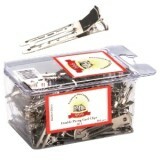 Premium Pin Company 999 Extra Long Sectioning Clips - 200 Keep hair exactly where .. Premium Pin Company 999 Gripper Hair Clips - 12 pc Extra Strong Sectioning Cli.. 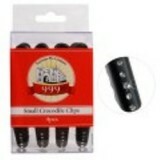 Premium Pin Company 999 Hot Roller Clamps - 801 Keep ro.. 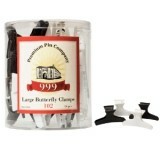 Premium Pin Company 999 Large Black & White Butterfly Clamps - 102 .. 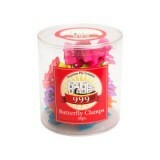 Premium Pin Company 999 Large Coloured Butterfly Clamps - 102 ..